Young people are known to make dumb mistakes and we chalk it up to youthful indiscretions, but sometimes you have to wonder what in the world were they thinking. Take, for example, Haylee Hoefgen and her decision to climb a flag pole during her spring break trip after having one too many. Instead of the pretty young woman making it to the top disaster ensued which hopefully will teach this young lady to make better choices. Haylee Hoefgen and her escapades were all caught on camera. She was with her friends as she risked life and limb to climb the fraternity flagpole, likely in a state of embarrassing inebriation, while on spring break in South Padre Island in Texas. Haylee is a pre-med student at the University of Kansas and hopes to one day be in charge of your medical health or even your lifesaving surgeries. But this moment of folly, she hopes, does not reflect poorly on her future choices. However, as Haley climbs the flag pole, she doesn’t get very far, because seconds later, the entire pole comes crashing to the ground and Haley falls into the waiting crowd below. Haylee Hoefgen has quickly become known as the “Flag Pole Girl,” a nickname that will probably follow her around for years. 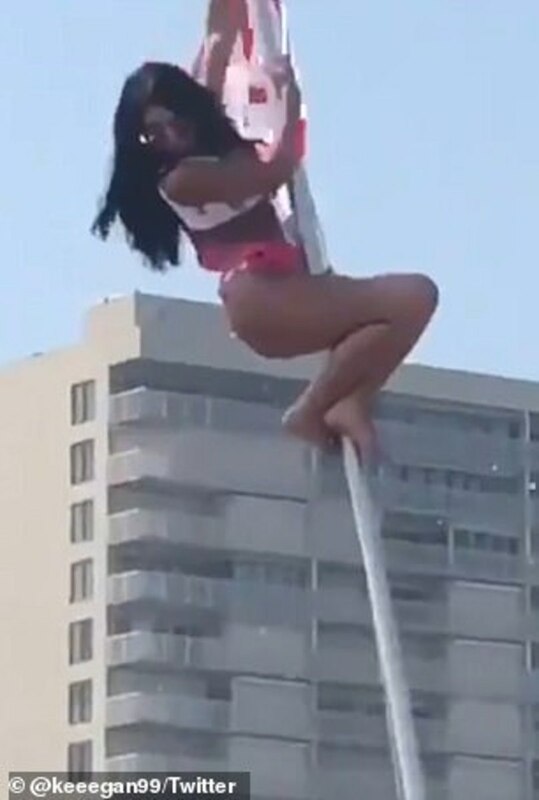 Although Haylee exhibited great strength climbing the pole without any supports, the fraternity did not install it correctly or safely, and it was unable to bear the weight of the petite student. 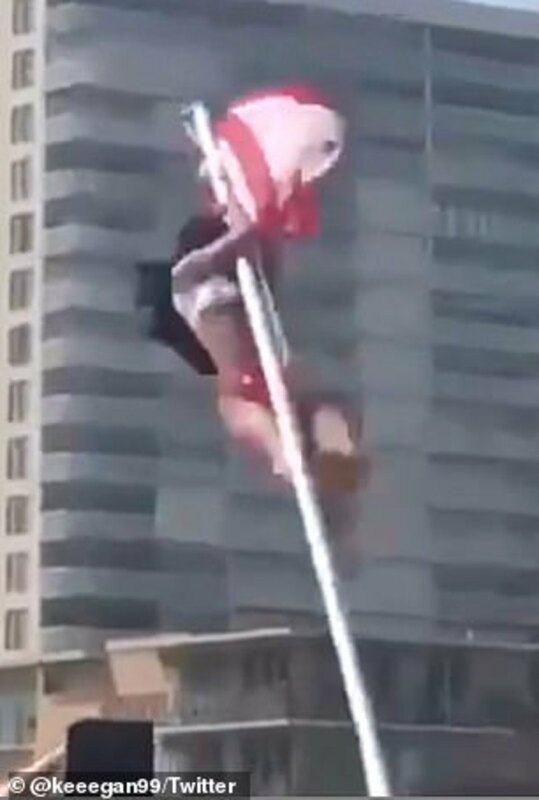 After she came crashing down to the ground, Flag Pole Girl talked to the news media about the incident – which she survived without any serious injuries. The pre-med student was left with a few bruises and scratches after she fell from the flagpole heights. Fortunately, she was able to “go harder” and keep up the partying for the rest of her spring break. The incident occurred on the sand of Clayton’s Beach Bar and Grill, which has a reputation for attracting people like Flag Pole Girl. Since becoming an internet sensation, Haylee “Flag Pole Girl” Hoefgen has attracted a lot of attention to herself. People on Daily Mail shared their reactions to her fall. Some viewers questioned her ability to become a doctor. Although Haylee’s fall was caught on video, most college students and young people, in general, make similar bad choices in life. What about you? Did you ever do something that earned you a name like Flag Pole Girl?